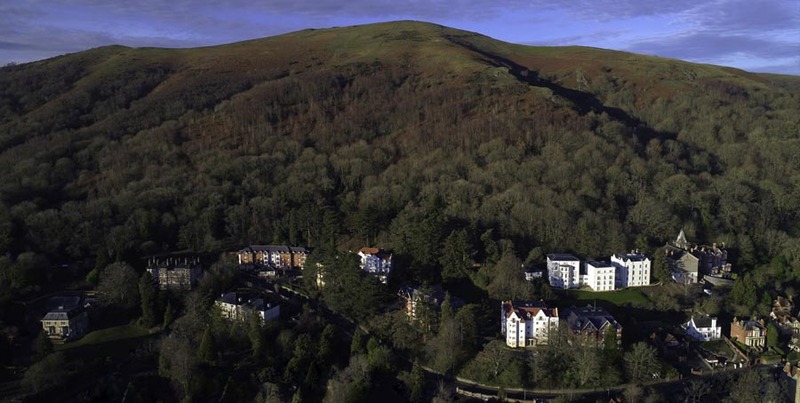 This dramatic location in the foothills of the Malverns, with its sloping topography and large number of protected trees, made the logistics of this large scale luxury development tricky for the roofers NRA Roofing. 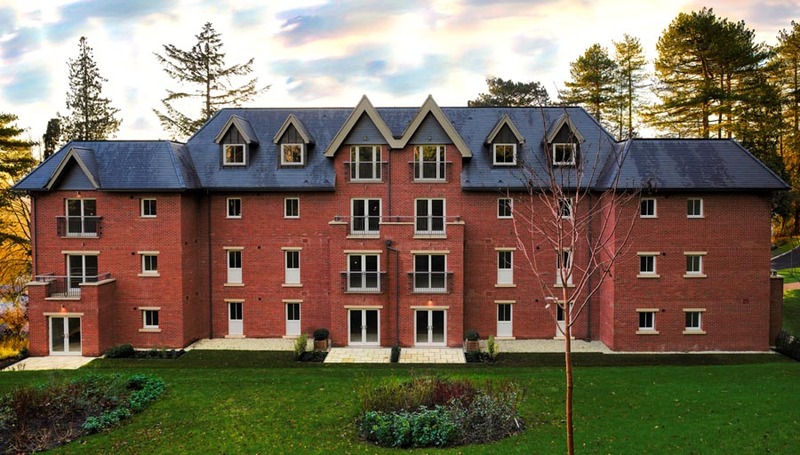 6 new residential blocks were built around 3 restored grand Victorian mansions which house the communal areas of the retirement Village. Architects Gaunt Francis sought to complement the original Victorian architecture in their design of the new buildings, by echoing some of the design themes and by using authentic traditional building materials. 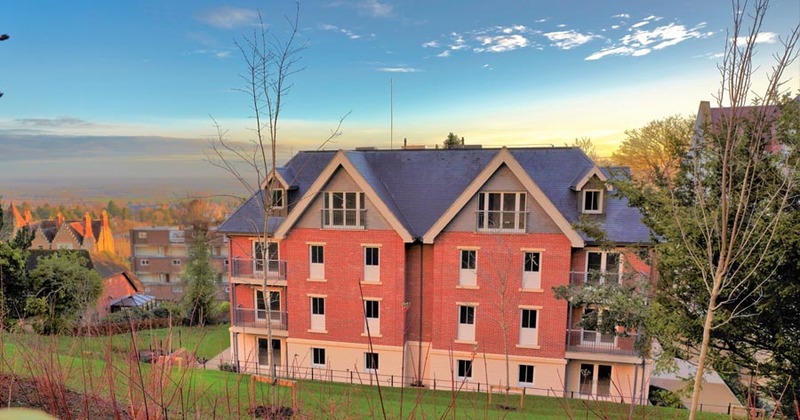 Quality is absolutely at the forefront of everything at Audley and it is fitting that they have chosen to use Dreadnought Tiles for a number of their luxury retirement villages. 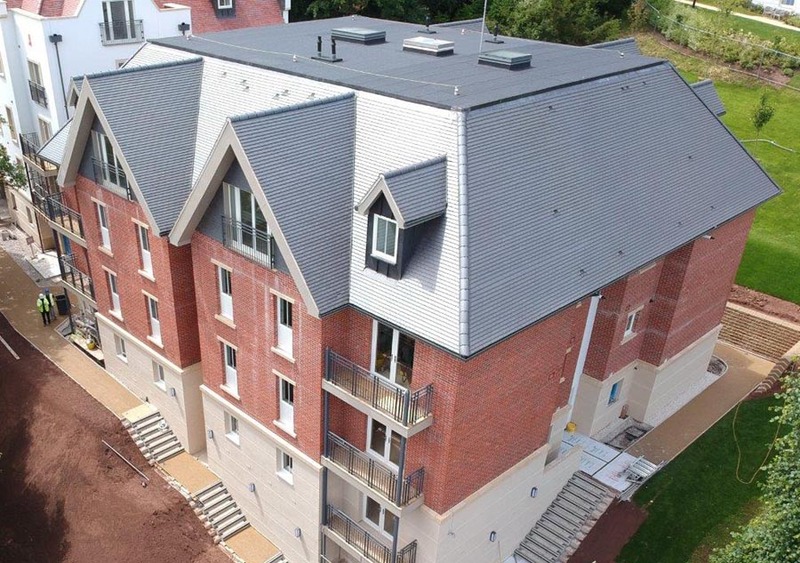 Wayne Mycroft of NRA Roofing explains "We carried out all the roofing for this large scale project, laying all the tiles, the bitumen felt on the top flat roofs , as well as the lead work down onto the tiles and around the dormers. Each block had around 900m2 of tiling, with considerable vertical tiling on the gable ends of the Staffordshire Blue roofs. We are always pleased to be working with Dreadnoughts as we know they are always high quality. If we are working with a lesser quality, more mass produced tile we may have to sort through the product before we can start using it and that costs time and money". 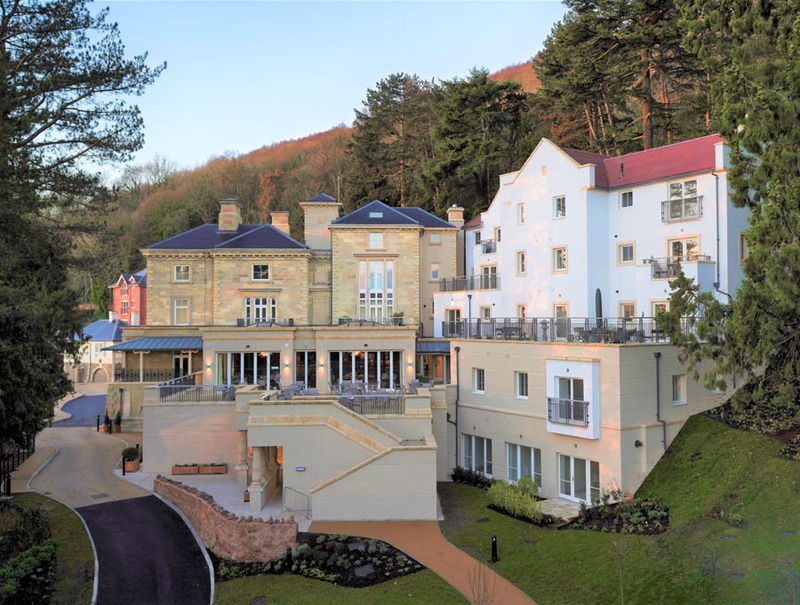 NRA Roofing have done a beautiful job and we are excited that this project is a finalist at the UK Roofing Awards 2019. Fingers crossed!